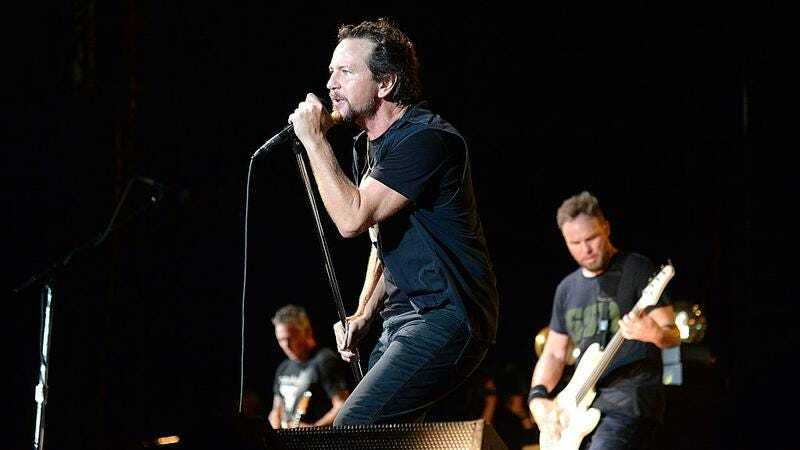 Uproxx reports that the members of Pearl Jam have invited all of their former drummers to join them for their induction into the Rock And Roll Hall Of Fame. The news comes a few months after former band member Dave Abbruzzese publicly called the group out for his lack of inclusion in the ceremony, despite the fact that he toured with the band for nearly 300 shows, and appeared on some of its most popular records. At the time, Abbruzzese—who was fired from the band over personality conflicts in the mid-1990s—expressed his hope that the band would “know what’s the right thing to do” in regards to the ceremony. While awards and accolades are understandably subjective and a countless number of our peers have yet to be honored, we do feel fortunate to be recognized and provided the opportunity to reunite with everyone who has been part of the group. Specifically the drummers who all left their distinctive mark on our band in the pre-Matt Cameron years. Dave Krusen, Matt Chamberlain, Dave Abbruzzese, and Jack Irons are each individually great players who gave their all to the early recordings and live gigs. Looking forward to seeing them and all the other musicians on the bill. Pearl Jam’s old tourmate Neil Young will welcome the band into the Hall. The ceremony—which will also see inductions for Tupac, ELO, Joan Baez, Journey, Yes, and Nile Rodgers—is scheduled for April 7 in New York.